“Who is Christian Surfers?” might seem like a grammatical error as you read it, but the way we see it Christian Surfers isn’t a collective entity sitting off by itself, it is a growing organism made up of individuals as diverse as the surfing communities we belong to. Rather than focusing on what Christian Surfers is we decided to explore this year who it is that makes up Christian Surfers. Each month we will have a conversation with someone who is a part of Christian Surfers in a distinct capacity. From an unchurched grommet through to a full-time staff member like Phil Williams here, we will talk to surfers from wildly different nations, with wildly different backgrounds, to discover who Christian Surfers is! First up is a man who is widely known throughout CS internationally. An exuberant, perennially optimistic Englishman whose level of surf froth is almost unmatched. If there’s surfable waves in a 100-mile radius he will sniff them out and make sure he participates, all the while carrying a workload that most would buckle under. On staff with CSUK full-time for over 18 years now Phil is no stranger to CS, but some of his story was unknown even to those of us who have worked alongside him for over a decade. Christian Surfers: You wear many, many hats. Can you tell us all of your current titles? Phil Williams: As we enter 2019 life is full with many different hats, obviously the most important is being an amazing husband to Annie (my words not hers!) and hopefully a pretty good Dad to Abi (24) and Joe (21). In addition to that I am National Director of Christian Surfers in the UK, as I have been for over 20 years, and for the last 15 years I have also been Regional Coordinator for Christian Surfers in Europe, which now involves 10 different countries. I am also volunteer director for the national governing body of surfing in England and in addition chair of Tubestation surf church, which I have been involved with since it started over 10 years ago. I am currently chair of Christian Skaters in the UK and despite my best efforts have not yet find somebody to take it over - any volunteers, PLEASE?!? One of the really exciting projects for 2019 will involve the second inland surfing lake in the UK, a Wave Garden, which I have been involved with since the planning phase, and after six years we are now finally seeing it being built. I have been asked to head up the not-for-profit arm of this exciting project, ‘Making Waves Foundation’, a really exciting opportunity. On top of all of that you’re also heavily invested in your local church and local community. How on earth do you keep up with it all and how much value do you place on local ministry in relation to national ministry? Annie and I were involved in voluntary youth work in our local Anglican Church for 25 years and remain committed as part of the wider leadership team (PCC) as well as involved with various ministries at church, including the men's work, and running a big skateboard festival every year. The partnership with Christian Surfers has been very significant ever since I stepped out to live by faith over 18 years ago and remains so to this day. It’s a real blessing as so many of the congregation supports us in prayers, finances, and volunteering at numerous events, even though we live over 100 km’s from the nearest traditional surf break. I am huge believer in leading by example when the opportunity arises, so I am so stoked that after around eight years break there is a new team heading up Christian Surfers in my local city (Bristol) which I can attend and support but not lead. How did you initially become a surfer growing up so far from the ocean? 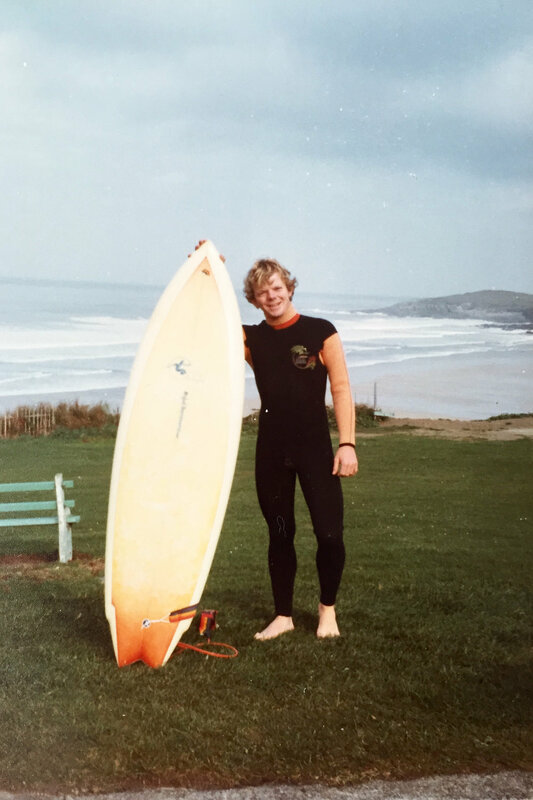 I began to take surfing seriously in 1980 when I moved down to university at Plymouth (I think somehow my decision to go there was influenced by its close proximity to the sea). So, the frightening thing is I have been surfing for around 40 years and whilst never lived closer than 100kms from the sea it's fair to say that I can't complain about my surfing opportunities. You do live quite far from the ocean and yet you are deeply connected to the national surf scene. How have you been able to bridge that gap and just how many miles have you racked up chasing surf? Regarding the number of miles, I have racked up, my last van after 11 years I sold at around 200,000 miles so if you times that by four you get a feel for just how many miles I have been driving to the surf and being part of this amazing community. I've been involved with the surfing scene in Britain for 40 years and in that time you build some amazing relationships with some very influential people who have moved up through the surf community. I have managed to keep those relationships strong as well as developing new ones. Christian Surfers in the UK are renowned for promising to do things and then delivering and as a result of that we have got very strong connections with all the main surfing organisations in the UK. We never take these for granted, we continue to work with them and continue to give thanks for the doors God has opened. I hear there’s a little development happening down the road that might change your surfing life? Yes, as mentioned before I am very excited about the ‘Wave Bristol’ which will be the Northern Hemisphere's first Wave Garden 2.0 facility. I have been supporting and partnering with the CEO of this organisation for the last seven years through some pretty tough times, but also some very exciting times, and this facility is due to open in Autumn 2019. Did I mention to you its just 20 mins from my house?!? So suddenly living where I am isn't quite so bad, which proves miracles do happen! Prior to this you have actually had a break close to your house that you’re great at keeping a secret. You don’t want anyone to know about it and you never share photos or videos from there. Right? I think you mean the break that very few know about it, of which nobody gets bored when I share numerous videos and pictures, but it is one of the world’s phenomena and indeed one of the longest waves in the world called the Severn Bore. It's a tidal surge which goes up the river Severn as a result of the estuaries having the second highest tidal variations in the world at over 14m! I'm sure I never mentioned it before but last year I broke my personal best riding it for over 26 min, my legs were pretty tired by the end. It does however involve one of the tightest surf communities I know, the ‘Muddy Brothers’, which is fantastic to be part of. So, if you fancy coming to visit me from October 2019 onwards you never know you might get chance to ride the Wave Garden and the Bore in the same day - that's got to be worth making the effort to come and visit me! Who are your top 5 surfers of all time, male or female? Top surfers for me has to be Tom Curren, closely followed by Kelly Slater and Jordy Smith. With regards to the ladies I had the real privilege of meeting Stephanie Gilmore and Carissa Moore In France last year, both delightful to chat to and amazing surfers, and my third one must be Bianca Buitentag. I have been so inspired at the level and development of women’s surfing in the last few years, absolutely fantastic. My dad was a missionary (I was actually born in Nigeria) before he and Mum came back to the UK and Dad became a pastor in the Anglican Church. As one of four boys it's fair to say life was pretty lively but we were expected to be angels and I think we fulfilled those expectations, or perhaps not. I my early teens I realised my faith needed to be something of my own rather than my parents, and came to faith on a camp run by an organisation called ‘Crusaders’. I met leaders who inspired me, and certainly lived life to the full, and came to faith through those growing deepening relationships and the example they set, that you could indeed be a Christian and lead a full and exciting life. You’ve been full-time as National Director for CSUK for over 18 years now after leaving a well-paid career, have you ever regretted that? What have been some of your personal highlights over that period? I could write pages and pages on this subject but maybe that’s not you want, so the short version is that I don't think I had any idea how long I would be living by faith when I left my very well-paid job as a distribution director running large logistics businesses. I can honestly say I have never regretted making the decision, as I do lead an incredibly full life working with some fantastic Christian Surfers people throughout Europe and investing in the surfing community with opportunities that I would never have dreamt about. Of course, there are times when I can get my calculator out and reflect on how many extra £’s I could have earned had I remained in my job, but I'm as excited now for the ministry of CS as I was when I first got involved. There are times when it is a little frightening as my donor base has reduced recently due to personal circumstances with some of those contributing retiring, or having to reduce their giving and not been able to keep up by finding new donors. I suppose as you begin to look at retirement (whatever that looks like) sometime in the future and the fact that I haven't been able to save as I would have done that can also be quite scary, and I remind myself, “Is God really going to give up on us when I move on from this role?” I don't think so. There are moments of concern when you lose sight of God’s faithfulness. I am however hugely blessed by Annie's job. She is an amazing woman, very talented and has a very influential job in the education without which I certainly couldn't survive and do the job which I do. 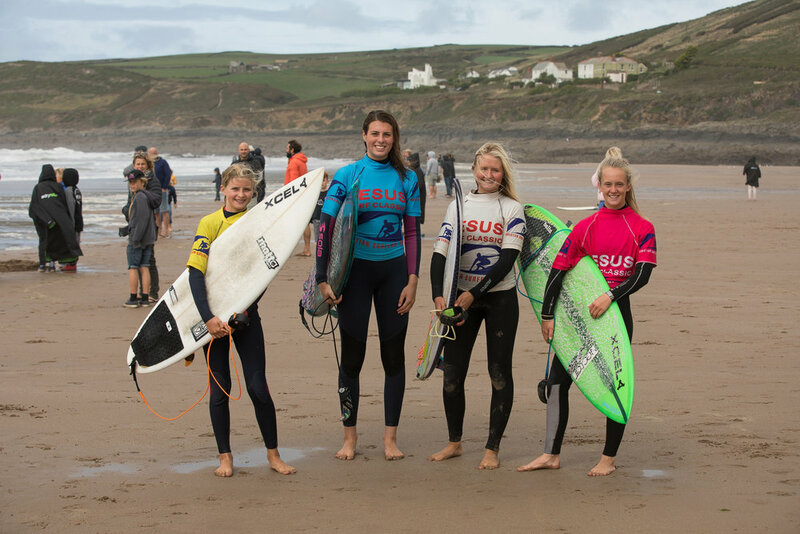 The Jesus Surf Classic is now one of the longest running surf contests in the UK. What effect do you think the longevity and integrity of that contest has had on surfing in your nation? The Jesus Surf Classic is now in its 28th year and is one of biggest and longest running in UK with a reputation for a competitive but also super fun and friendly event involving far more than your average surf competition. Weather permitting, we have a mobile skate park, always a big marquee, surf movies, live music and of course freshly baked cakes, pizzas and crepes. We get to know many of the top UK surfers through this competition, and many of the CSUK crew involved in heading this up are also involved in serving the surf community at the other competitions throughout the year. We don't force our faith views down their throats but there have been so many opportunities and various times when conversations have struck up, or we have been asked to help in sticky times, or indeed happy times for weddings and baptisms, etc. Our continual prayer is for breakthrough and for the ability to continue to serve and be prepared to share our faith whenever needed, or whenever we feel God prompting us to go deeper with those we are serving. We have seen lives changed, people come to faith, and also so many more having their preconceived ideas about what being a Christian is completely changed. You started in this ministry with hair. What happened? One sentence, running outdoor surf events for 27 years… All those who have done that will realise why I no longer have hair! Of course, God is in control, and even if there are no waves at times, we should not worry, however guess what? I still fall short of that challenge on occasions. You’ve been in the role of Regional Coordinator for Europe for over a decade now. What are the differences between your two main roles for CS and how have you found juggling those responsibilities? 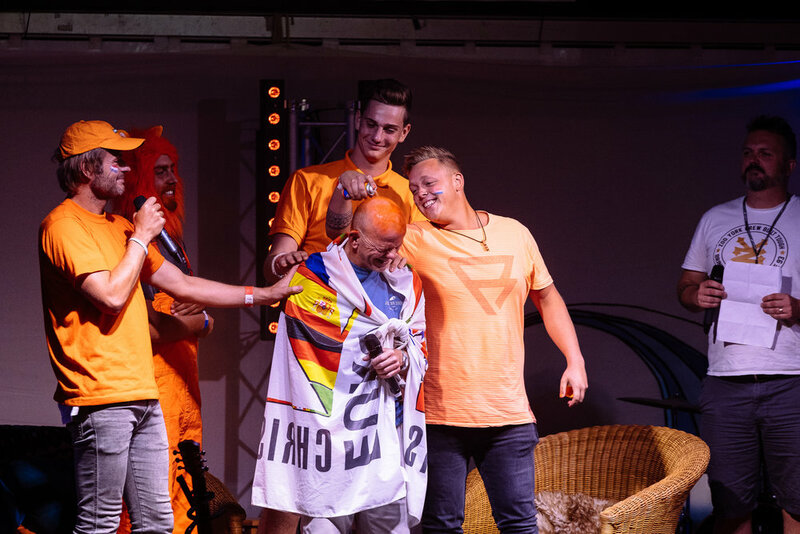 I suppose by default when I became Europe's only full-time Christian Surfers leader, and with quite a bit of experience running a national movement, I found myself being asked to answer the call to be the CS Regional Coordinator for Europe over 15 years ago. The main role is in overseeing countries as opposed to running a national movement. It's about the amount of detail that you get involved with. With Christian Surfers in the UK detail is key. I work with amazing team, but I need to really understand what's going on, where every pound is being spent and help shape what the year looks like. However, in my regional role it is far more about mentoring, encouraging, and adding value through experience where best can. I also really enjoy visiting the various countries and I hope that during these last 15 years I have managed to encourage the leadership through stories, example, prayer and visitation. 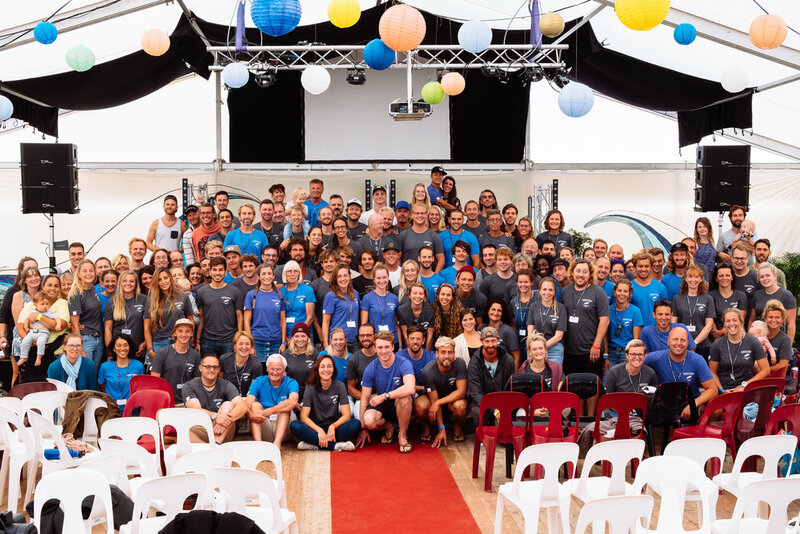 For me last year’s Christian Surfers International Gathering was the highlight from those 15 years of investment, seeing every country from Europe being involved, along with the CSI core team, in putting on the fantastic International Gathering in France. I was so proud of all the teams and on reflection shed the odd tear at what an incredible bunch of people they are, and how all those years of investment and at times sacrifice were worth it. Is it true the Dutchies (CS Holland) are your favourite CS group? The ‘Dutchies’ are obviously my favourite CS group when I'm in Holland, the Swiss when I'm in Switzerland and the Norwegians when I am in Norway, etc., etc. On a more serious note I do love going to visit the Dutch crew and always receive a very warm reception when I get there, but that is exactly the same as the other countries that I visit throughout Europe. I am so fortunate to serve an amazing team in those 10 European countries and I continue to praise God for the leadership teams as well as individuals who make me feel so welcome during my visits and also at the annual CS Europe leadership gathering. The cultures within each country in Europe are so different, but with God in control and hard work from both sides so much can be achieved. As CS International transition internationally to three areas and away from our former six regions, this will affect your international role. You have decided not to pursue the role of Area Director for EMEA as many expected you to. Can you explain this decision and where your heart is for the future with CS? Well that's a tough question! I don't think it is any secret that making this decision not to take up the area director role for Europe Middle East and Africa was not an easy decision. I felt that I have the ability and experience to do a good job in the role but at the same time I felt as though it would take me away from the coalface, and the people that I have been serving for 30 years in the UK and European surfing communities. I felt perhaps that the Area Director role by definition of the size is a bit of a helicopter role investing in a number of regional individuals, rather than being involved in events, and I could not continue with all my additional roles which I believe God has called me to, if I was in the position of Area Director. Ultimately, I believe it was a God-guided decision and that's not a bad place to be. What does Christian Surfers mean to you? 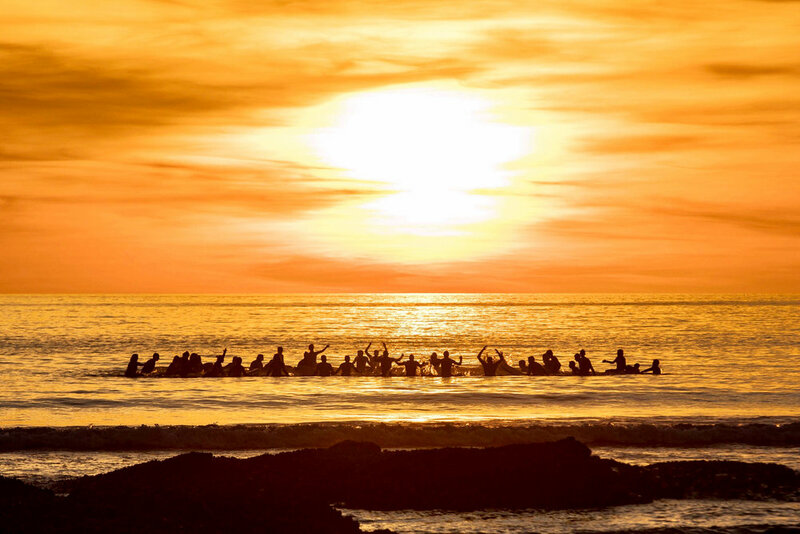 Christian Surfers means to me, family, community, friendship and faith. It also means heaps of fun, some amazing people doing some incredible things, and it also means a community which helps open up opportunities to serve the surfing community and to share my faith in a relevant way. It also means an organisation that has been so important to me and my family for half of my life, and I hope for many years to come. It means a worldwide network of friends who I can pop in on when passing, and who I can link others with in times of need. Ultimately it is a God-given tribe with a special mandate to reach the surfing community for Christ. I do live life to the full, I am very privileged to be working with an amazing team in the UK for all those years, as well as the European team and obviously Roy Harley and the international team of Christian Surfers. I love this ministry as much now as I did when I first got involved 27 years ago, and I intend to continue to invest in people and the ministry in whatever role that might be. One of my passions is to continue to pray for divine appointments, to connect with people that perhaps God is prompting me to, particularly if they have fallen out of love with the church, and be open and upfront and ready to share my faith to the hundreds of surfers I come across on annual basis that don't yet know Christ. Two of my key phrases that I live by are ‘that the small things in life do make a difference’ and ‘the right thing to do is the right thing to do’ - even if it doesn't seem to make sense. Keep the faith, keep the stoke and if I am fortunate enough to catch you in the ocean soon, don’t forget to let me take the odd wave!